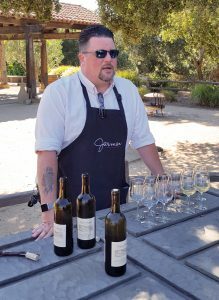 It’s been more than two decades since Christopher last visited the Monterey area, and Catherine has vague recollections of taking a field trip to Monterey while attending grade school in Napa Valley, so when we were invited to spend a couple of days up the coast in Carmel Valley and Carmel-by-the-Sea in Monterey County, we said yes—especially when we learned that Carmel was a fairly new winemaking area that boasted excellent chardonnays and pinot noirs, plus acclaimed restaurants. 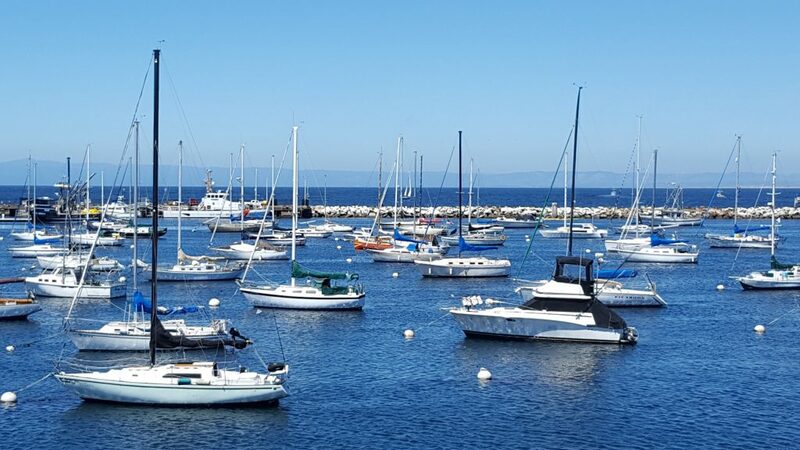 To reach the Monterey peninsula, there are two choices of transportation: flying into Monterey airport, or driving. 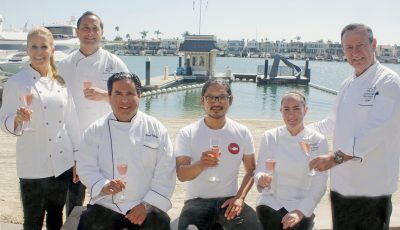 After weighing our options, and checking the cost of flights, we decided to make the five-hour drive from Newport Beach up the 101 Freeway to Carmel. 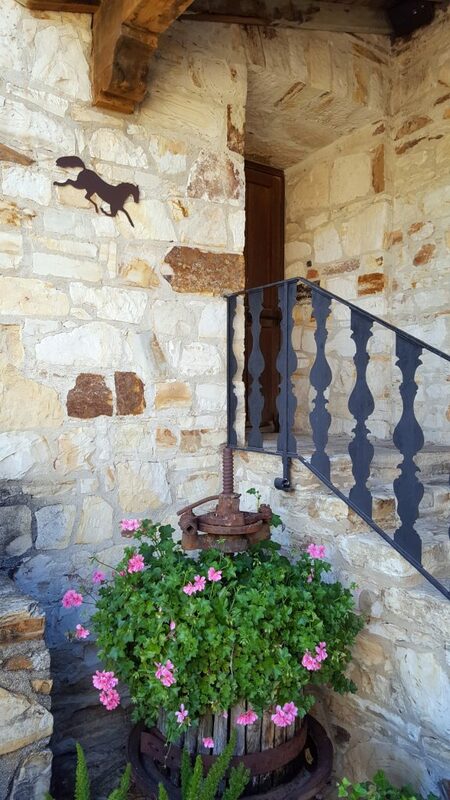 An invitation from Holman Ranch to spend the night in one of their rustic cottages is a rare thing, because the property is usually only available for special events such as weddings and reunions. Thomas and Jarman Lowden bought Holman Ranch in 2006 and have restored most of the buildings. They started making wine their own wines and opened a tasting room. 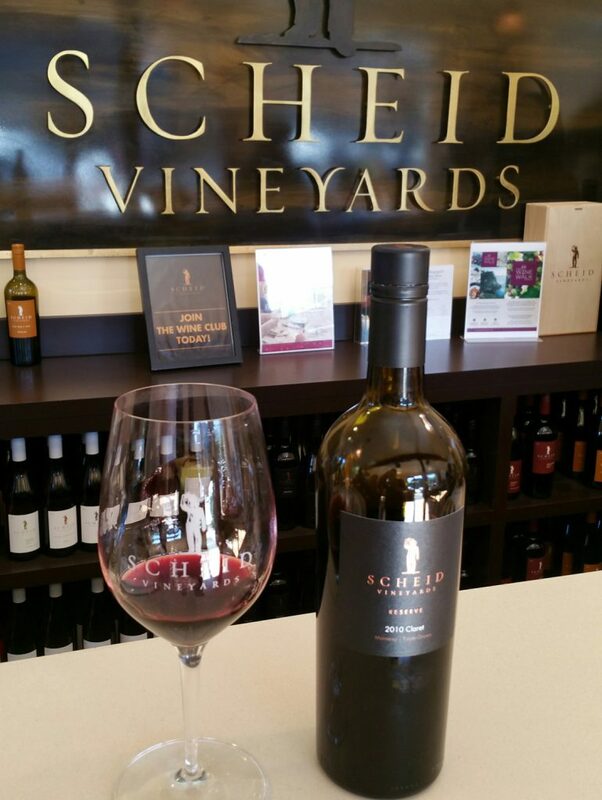 The couple wanted to show off the area, and their wines, so we said yes to a visit. Holman Ranch has been around for more than a century, but the first hacienda was built on the property in 1928. After the Holman family purchased the property, they added guest rooms and additional buildings, and turned it into a resort. Now, it’s exclusively used for special events—more than 130 each year. 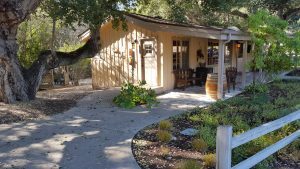 Holman Ranch is in Carmel Valley, an up and coming wine area. 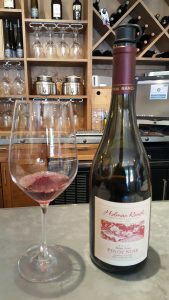 In fact, we picked up the keys to our room at the Holman Ranch wine tasting room, where we were surprised to learn they made a handful of darn good wines (of course we sampled them), including some easy-drinking pinot noirs and a killer port. Then it was on to Holman Ranch, where we took a tour of the property and learned the history of the area. There is a large lawn overlooking vineyards that’s suitable for large weddings, while an intimate chapel is perfect for smaller ones. There’s also a converted stable turned game room with a pool table, dart board, juke box and wet bar. The property has 10 cottages loaded with country charm. We stayed in one that had a full kitchen, living room and two bedrooms, each with their own bathroom. “It’s great to have so many rooms located on site so that your wedding and reception are only steps away,” noted Catherine. The property also features a gym and a pool, and its located just down the road from the tasting room, and a handful of restaurants. We had dinner at Will’s Fargo restaurant, created in 1959 by Will Fay. It’s billed as a Steakhouse and Bar, but we got to sample a variety of dishes, from fish to steaks. 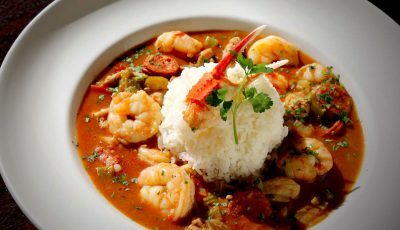 We found out why the restaurant has been popular for over half a century—great food in a fun ambiance. 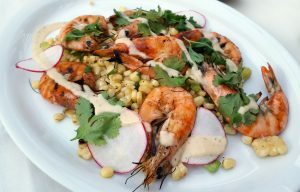 The restaurant was recently restored to its original glory by its new owners—the same family that owns Holman Ranch! 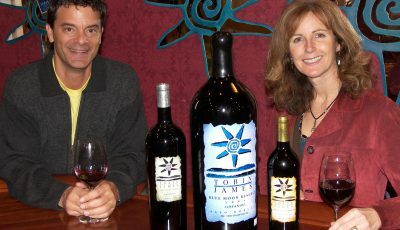 We also got to try some superb Jarman wine, a premium brand made by the owners of Holman Ranch. In the morning, we stopped by the Holman Ranch tasting room to drop off the keys (and sample more wine) before having a late breakfast/early lunch at Corkscrew Café. Being a pizza fanatic, Catherine ordered the wild forest mushroom pizza with white truffle oil, which we devoured before hitting the road. 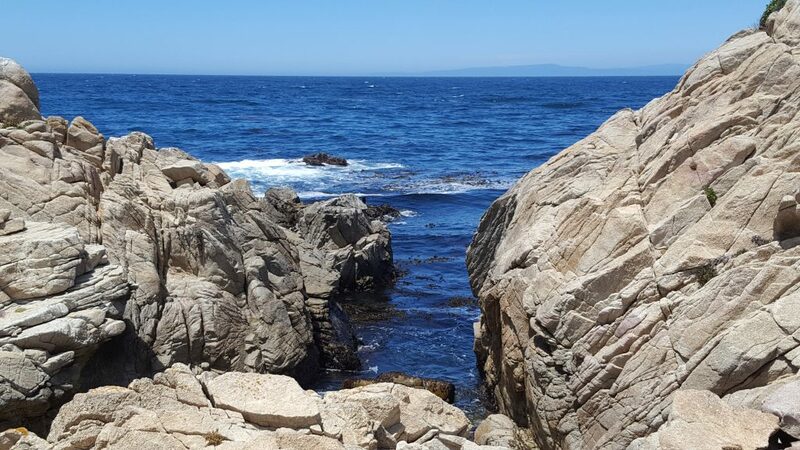 One of the must-do things on our agenda was the famed 17-Mile Drive that takes tourists on a slow, winding cruise through forests and coastal vistas along the Pebble Beach Golf Course. “I bet they lose a lot of golf balls here,” joked Christopher as he watched golfers tee off just a few feet from the seaside cliffs. 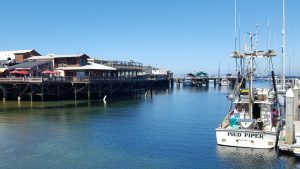 We also had time to visit Fisherman’s Wharf in Monterey, a cute tourist attraction that included a large pier with restaurants and shops that appeared to be very popular with visitors. 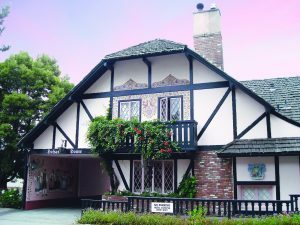 We navigated our way to Carmel-by-the-Sea and the Bavarian-inspired Hofsas House, owned for over six decades by the Theis family. 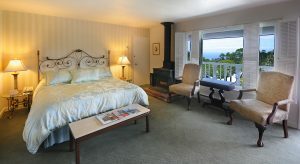 The hotel has 38 one-of-a-kind guest rooms of various sizes that include fireplaces, balconies or patios, wet bars, and even kitchens in some units. There is free wireless in all rooms, and some of the rooms are dog friendly. We learned that Carmel is a dog friendly town where dogs can run off-leash on Carmel Beach. We made a note to return soon with our dogs. We found the staff to be very friendly and knowledgeable about the area—traits that made us feel welcome and special. They even gave us a small map and explained the town to us, which of course made us want to go exploring. After refreshing in our spacious room, we set out to see the town and do some wine tasting. 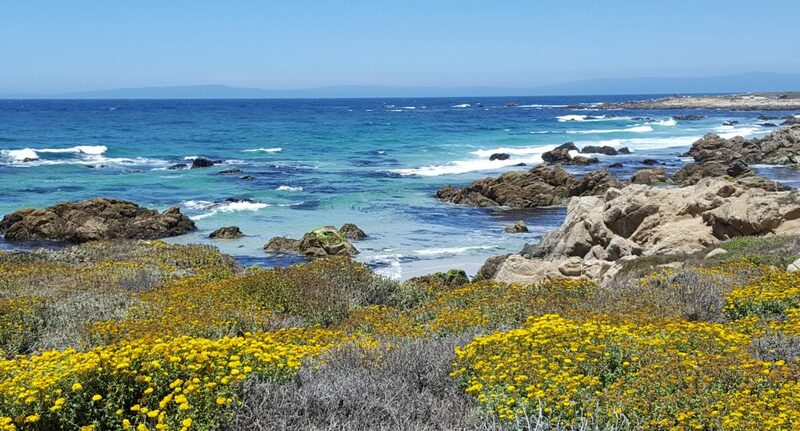 Carmel-by-the-Sea is a charming, European-style village that boasts boutiques, art galleries, restaurants, and wine tasting rooms. Taking a gamble, we randomly selected several tasting room to try. We encountered friendly dogs at our first stop, while coloring books and pencils were laid out on tables at our next stop. 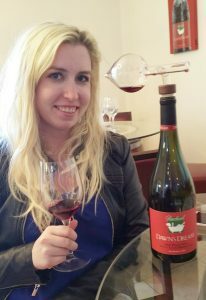 After sampling several different brands, we agreed that our favorites were Scheid Vineyards, which has a long history in Monterey County, and Dawn’s Dream, created by Dawn Galante as a way to give back to the community. She donates her product, money or time to support nonprofit organizations that she’s passionate about both locally and globally. 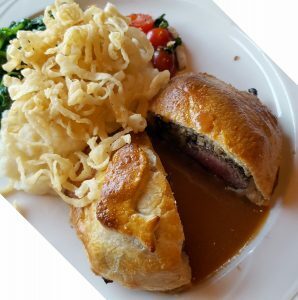 We strolled back to Hofsas House to change clothes, and then drove to Monterey, where we had dinner reservations at the landmark Whaling Station Steakhouse, an old-school restaurant that boasted some fun menu items, including beef Wellington, something we don’t see very often on a menu, so of course we had to order it. We headed back to our room at Hofsas House, lit a fire in the fireplace, and had a restful night. We left early the next day and made it back through the L.A. traffic by mid-afternoon, wishing we had more time to spend in Carmel Valley and Carmel-by-the-Sea, and vowing to return soon. Note: If your travels take you to Carmel-by-the-Sea on Oct. 29, don’t miss the Centennial Celebration and Parade, featuring Actor-Director Clint Eastwood as Grand Marshal.